Discover the quiet beauty of Venice on this night-time tour of the Floating City's most-loved buildings: The Doge’s Palace and St. Mark’s Basilica. With After-Hours access you can discover the ornate basilica without the crowds. No other tour paints Venice in such an enticing light. Save time and beat the usual crowds as you explore the cool marble and gold interiors of the Basilica and the Doge’s Palace by night. Descend into the crypts where the sacred relics of St. Mark the Evangelist are stored and get up close with the precious Pala d’Oro. Venice can be hectic during the day, especially during the summer months. Escape the chaos and enjoy a calmer side to the Floating City on our exclusive after-hours tour. Stroll among the artworks of the Doge’s Palace, gaze out over the romantic St. Mark’s Square and slip into the usually locked basilica of St. Mark. Listen to stories and anecdotes that show Venice under in a different light. With our privileged access to St Mark’s Basilica and our expert, English-speaking guide you will see Venice as very few do. We start our adventure at the foot of the Ponte della Paglia overlooking the Lagoon. From there we can see the center of the city’s political life – the Doge’s Palace. Originally the lavish home to the Duke of Venice and then used as the city courts, this landmark building has witnessed the rise and fall of Venice. It is easy to see why this building is woven into the very fabric of one of the oldest republics in the world. Imagine the intrigues which took place here when Venice was a sea-faring superpower that straddled the east and west. After Venice had its moment in the sun, the Doge’s Palace became a prison and it is now home to 11 of the best art museums in the city. Our expert guides are passionate about the masterpieces that call this city home and will be on-hand to share their stories with you. Follow them into the museums as they show you the most important rooms which contain frescoes and work by Venetian artists such as Tintoretto who is famous for the unequaled speed at which he painted. Crossing the enormous St. Mark’s Square by night contrasts with the daytime experience. The crowds will have thinned and jazz swirls through the square as orchestras try and tempt you in for a coffee where the likes of Casanova and Wagner once sipped. Stay close to your guide as you approach the opulent basilica of St. Mark where you will unlock the highlight of your after-hours tour. Entering what the locals call the Church of Gold is a memorable experience. Without the crowds, the hushed deserted interior is a different place at night. Once your group is inside and the doors close behind you, the lights will switch off to let your eyes get used to the natural light. All that you can see now is by moonlight or the fading evening sun. You will be able to make out the glimmering gold mosaics above you and feel the weight of over 1000 years of history and art around you. Slowly the lights will return to focus on the spell-binding glass-and-gold mosaics. Watch as they light up and the smiles spread across the faces of the people looking up at the ceilings of one of the most beautiful churches in the world. After you have taken in the magic of the mosaics, listen as your guide interprets the surprising design elements of the basilica which tell of the city’s role as a crossroads of the Mediterranean. You’ll also have time to get close to the precious Pala d’Oro – the jewel-encrusted masterpiece of Byzantine craftsmanship which originated in Constantinople and which is normally kept well away from crowds. After viewing the Pearls, sapphires, emeralds and garnets make your way down to the crypt – the resting place of the apostle St. Mark. In just three and a half hours, we’ll introduce you to Venice by night – from the impact of its birth as the world first great international financial hub to its exotic blends of Ottoman and Arab styles. Your tour guide will show you what is unique about Venetian history and art, intrigue you with stories of the Apostles and the Dukes so you will leave not just having seen Venice, but having seen the city in a new light. Check out our full list of Venice tours. Currently we offer private tours in many destinations and can arrange many of our tours as private tours. If you are interested in a private tour please refer to the private tours offered online. If the private tour you are interested in, is not listed, please contact our Customer Care team. 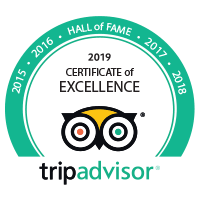 Our tours are very popular amongst visitors to Italy, Paris and London, so we suggest booking your place on them at your earliest convenience. If you are not ready to book yet and have some questions, we would be happy to help over the phone, via email and Live Chat. It is our mission to ensure that you get the most out of your visit!